Providing Smiles That Turns Heads for over 20 years! 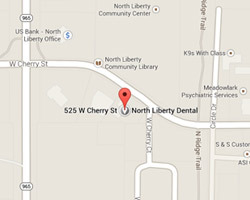 At North Liberty Dental, it is our goal to provide you with quality dental care, suited to fit your individual needs. We strive to provide excellent customer service, in a warm, caring, family-oriented atmosphere.